Taylor Swift and her "squad" of less successful stars, which includes Selena Gomez, Lorde, Hailee Steinfeld, Gigi Hadid and a bunch of other interchangeable models and actresses, tend to follow her wherever she goes in public. While the average person would likely kill to hang out with Swift and Co. all day everyday, not everyone is so impressed by her posse. These stars all threw major shade at Swift's squad. 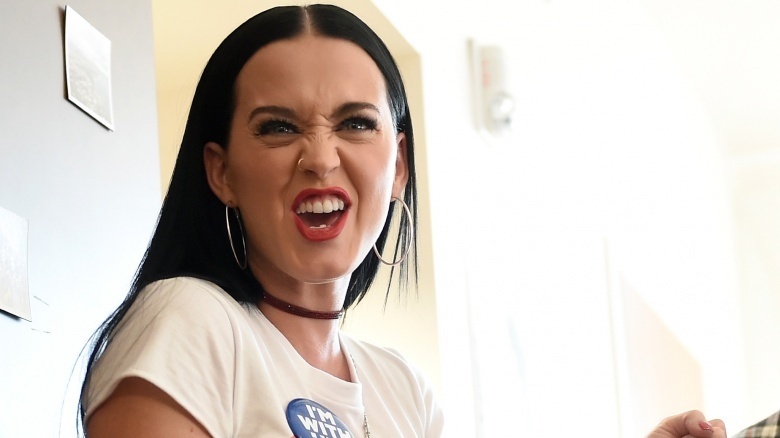 Katy Perry may have the most legitimate beef with Taylor Swift's squad, considering they, you know, assembled to film a music video for Swift's song "Bad Blood," which is allegedly based on Swift's ongoing feud with the "California Gurls" singer. Of course, Perry's alleged feud with Swift dates back many years. In 2014, Swift slammed a nameless star that most of the world figured out was the "Firework" singer. "For years, I was never sure if we were friends or not," Swift told Rolling Stone. "She would come up to me at awards shows and say something and walk away, and I would think, 'Are we friends, or did she just give me the harshest insult of my life?' [Then] she did something so horrible. I was like, 'Oh, we're just straight-up enemies.' And it wasn't even about a guy! It had to do with business." She added, "She basically tried to sabotage an entire arena tour. She tried to hire a bunch of people out from under me. And I'm surprisingly non-confrontational—you would not believe how much I hate conflict. So now I have to avoid her. It's awkward, and I don't like it." The next day, Perry seemingly confirmed that Swift was talking about her by tweeting, "Beware of the Regina George in sheep's clothing…"
In July 2015, Swift started a highly publicized, since-quickly-resolved beef with Nicki Minaj about the MTV Video Music Awards—then blamed it on sexism and the media trying to pit women against one another. 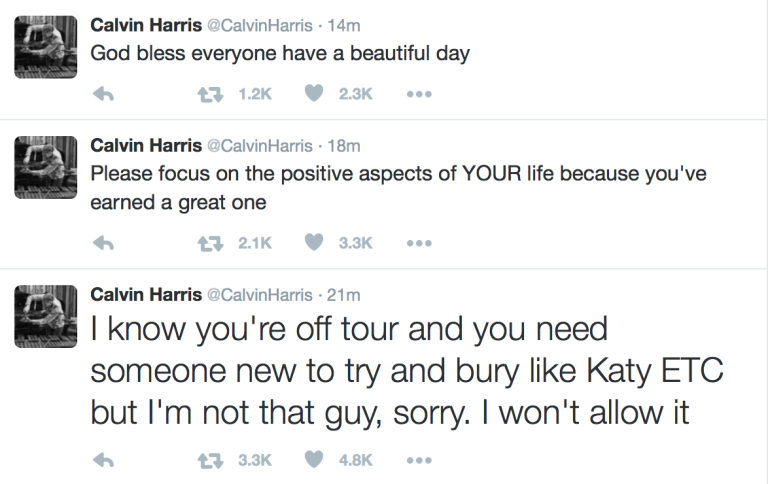 Perry wasn't quiet about it, tweeting, "Finding it ironic to parade the pit women against other women argument about as one unmeasurably [sic] capitalizes on the take down of a woman…"
A year later, Swift's ex Calvin Harris tweeted, "I know you're off tour and you need someone new to try and bury like Katy ETC, but I'm not that guy, sorry. I won't allow it." Perry responded by retweeting one of her own posts from May 2015, reading, "Time, the ultimate truth teller," followed by a hilarious GIF of then-presidential candidate Hillary Clinton. Suffice to say: we doubt Perry will be joining Swift's squad anytime soon. 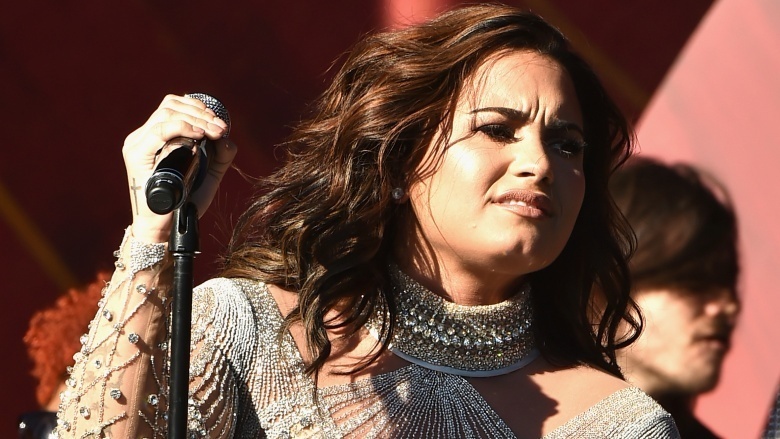 Demi Lovato has taken issue with Swift's approach to feminism as it relates to the squad and her public image. "I think in certain situations, certain people could be doing more if they're going to claim [feminism] as part of their brand," Lovato told Glamour in November 2016. "To be honest, and this will probably get me in trouble, I don't see anybody in any sort of squad that has a normal body. It's kind of this false image of what people should look like. And what they should be like, and it's not real…I think that having a song and a video about tearing Katy Perry down, that's not women's empowerment. We all do things that aren't, but I have to ask myself, 'Am I content with calling myself a feminist?' Yes, because I speak out." Swift apparently wasn't thrilled with Lovato's comments. As a source explained to E! News, "Taylor has a tight group of women in her life that all have her and each others' back [sic] and sometimes people just want that. She thought it was unnecessary for her to make those comments. They both have never been really good friends." No kidding. 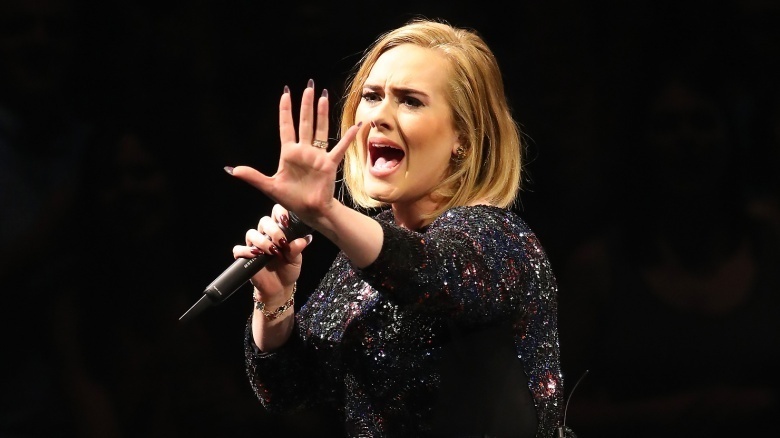 Adele doesn't seem all that interested in joining the ranks of Swift's squad, although her reasons are a bit more tongue-in-cheek. "I've heard about a squad. I wish my squad was all supermodels," she told Rolling Stone. "We are, in our brains. It's not as interesting as some of the other squads that are around right now." When asked who she'd want in her own squad, she immediately replied, "Maybe Rihanna can be in my squad! That would be really cool. Oh, God. She's life itself, isn't she? I love her." Now, that's a squad we'd love to see walk a red carpet. Miley Cyrus has hinted before that Swift's squad isn't genuine—and neither are the members within it. "I'm not trying to be in the squad," Cyrus scoffed to the New York Times. "None of my friends are famous and not because of any other reason than I just like real people who are living real lives, because I'm inspired by them." 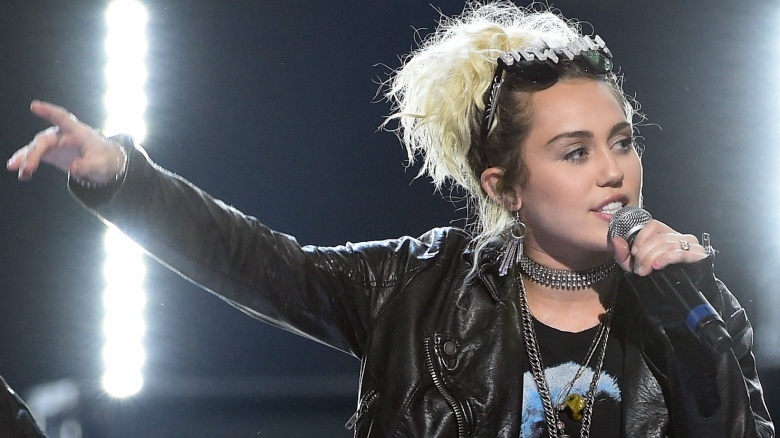 Tell us how you really feel, Miley. Although Chloe Grace Moretz is pals with squad members Selena Gomez and Hailee Steinfeld, the entire concept of a squad as a whole disgusts her. "I agree with having a good core group of friends, but the issue I have with squads is it creates exclusivity," Moretz told Nylon magazine with an eye-roll. "I was never included in those things when I was a kid. I was the weird one that chose to do movies, so now I go out of my way to be nice to people and make them feel included." Moretz also revealed to Complex that Swift invited her to join the squad, but that she refused. Still, she diplomatically called the singer "very talented" and added that she has an "anti-squad" mentality in general, groaning, "They're cliques! They [promote] exclusivity!" Kendall Jenner's quiet, quasi-beef with Swift may be a personal one: they both dated Harry Styles at one point in time, and Jenner may have thrown some subtle shade at Swift after Kim Kardashian "exposed" her via Snapchat. While Jenner, who's close with squad member Gigi Hadid and a frenemy to Selena Gomez, hasn't dissed the squad outright, she hinted on The Late Late Show With James Corden that she's not a fan of the clique. In a segment called "Spill Your Guts Or Fill Your Guts," Corden asked Jenner to name her least favorite member of Swift's squad, adding, "There's Selena Gomez, Hailee Steinfeld, Cara Delevingne, Uzo Aduba, Karlie Kloss, Gigi Hadid, or Taylor Swift." Jenner opted to drink bird saliva instead of risking answering the question, which says more than her words ever could. 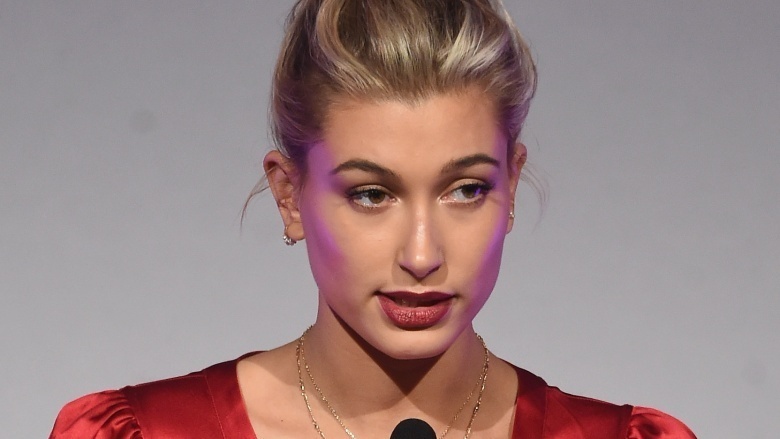 In what may epitomize irony, Hailey Baldwin, who's famous for being a model that rides the coattails of people more famous than she is, dissed Swift's squad in a December 2016 interview. "I don't understand the Taylor Swift squad at all. I don't know what having a squad means. I just have my friends and that's it. I don't think that you need to create a public squad. I don't know what that proves. So I don't really understand the Taylor Swift squad at all." Add to that the fact that Swift's most loyal squad member, Selena Gomez, is Justin Bieber's first love—and Bieber briefly dated Baldwin but refused to put a label on the non-relationship—and it's pretty clear she's never going to be able to sit with them. In November 2015, Kathy Griffin griped that Swift's squad seemed immature. "I don't find ("the squad") empowering. I don't think it's something a bunch of 14-year-old should be proud of," she told the New York Daily News. "The comedy that comes with Taylor Swift is her songs are about her struggles in life and she has had none." Griffin also claims that Swift's squad gives off "a high school vibe" and iced her out at an event—because it seems that Swift and her pals can't stand her, either. The girl with the dragon tattoo wasn't interested in hanging out with the girl who inspired the snake emoji. OK! 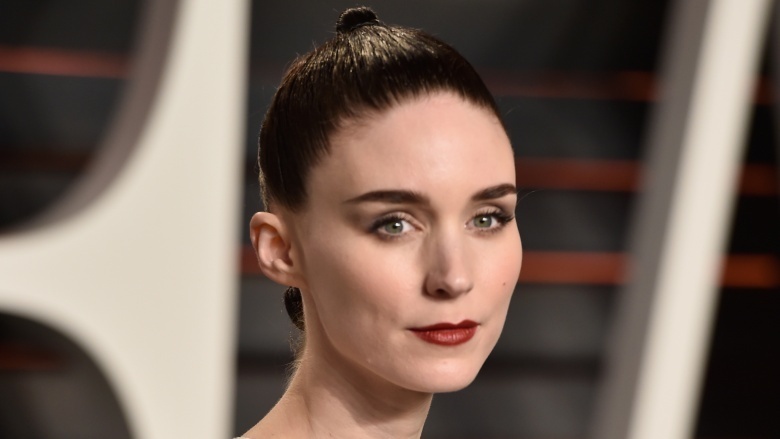 magazine alleges Rooney Mara denied Swift's repeated requests to join her squad. "Rooney doesn't want to be part of anybody's entourage, despite Taylor's incessant string of invitations to party," a source claimed. "She even turned down Taylor's invite to her July 4th Rhode Island bash. Taylor's been desperate to befriend the edgy Rooney since seeing her play a lesbian in Carol (2016), but Rooney's a loner who avoids celebrity events if she can." The insider said that that despite Mara coming from a wealthy football dynasty (her mom's family founded the Pittsburgh Steelers, and her dad's brood birthed the New York Giants), the actress is too down to earth to hang out with a superficial squad. "She hangs out with painters and plumbers as much as she does other actors and stars," the source sassed.